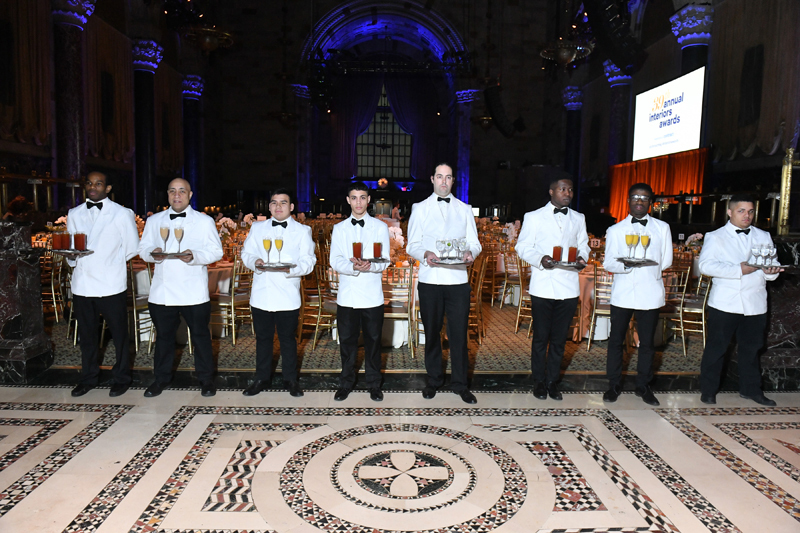 The doting wait-staff of Cipriani 42nd Street greeted attendees. All photography courtesy of Contract magazine. 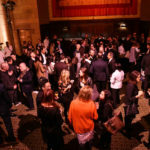 Who doesn’t love a well-hosted industry event in New York City in the dead of winter? Any chance to gather, meet industry friends and notables and celebrate the recognition of excellence in the practice of our profession is welcome anytime, but seems especially inviting when the end of winter is nowhere in sight. 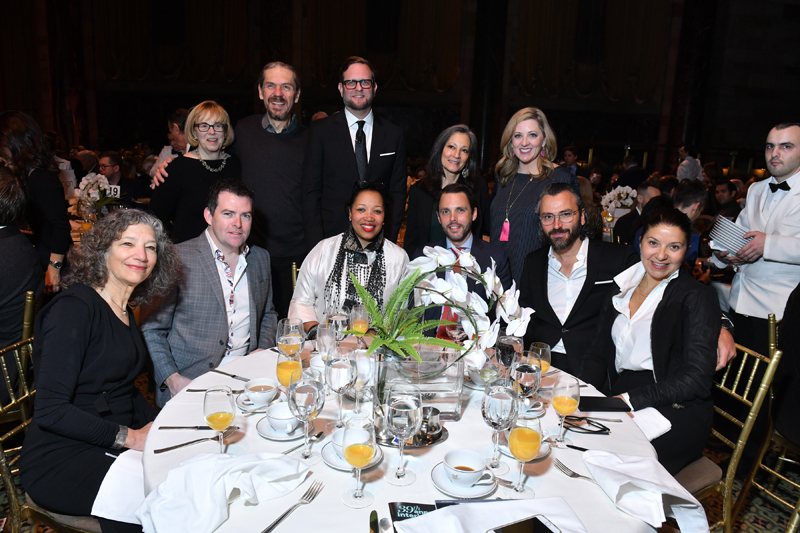 Thus, the timing of Contract magazine’s annual Interiors Awards breakfast only adds to the enthusiasm engendered by the prospect of gathering to honor the Designer of the Year, a new Design Legend and winners of awards, by virtue of specific projects, in 15 categories. 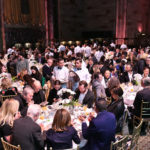 As guests arrived, the landmark Italo-Byzantine great hall at Cipriani 42nd Street was looking sumptuous but austere, and the wait staff was at hand with trays of breakfast spirits to get things going. 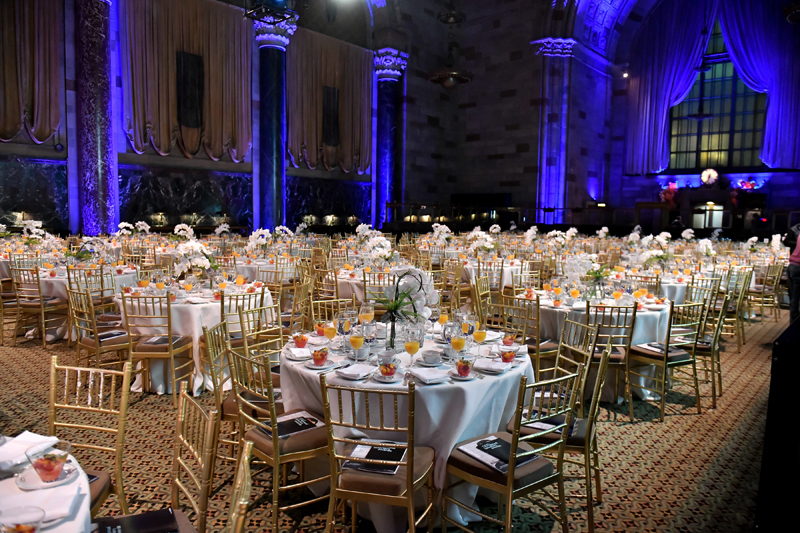 The Great Hall of Cipriani 42nd Street awaits the start of the event. The stage was set with rows of crystal trophies from Tiffany and Company, and the energy level was high despite the early hour. 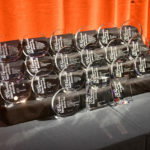 Ah, but the actual awarding of the trophies would have to wait – because there is always serious networking that has to happen before the show can begin. 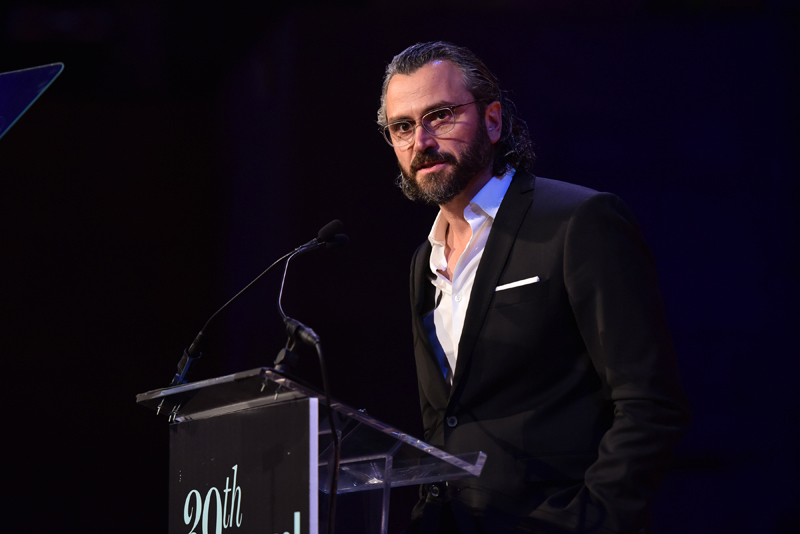 This year’s Designer of the Year Award went to Alessandro Munge, global design leader and principal at Studio Munge in Toronto. A 1994 graduate of the interior design program at Reyerson University in Toronto, Mr. Munge began his professional career in the Toronto office of Yabu Pushelberg, where he had the opportunity to develop his talent working on world class hospitality and retail projects. Interestingly, some of us recall that George Yabu and Glenn Pushelberg were Contract’s joint Designers of the Year in 2002. Designer of the Year, Alessandro Munge making his acceptance speech. But by 1997 Mr. Munge and a colleague, Sai Leung, answered the siren’s call and established the eponymous firm Munge Leung. That firm’s breakthrough project came when Ink Entertainment hired it to design a nightclub that would become Guvernment, one of Tornoto’s most famous and popular clubs. Thereafter, Munge Leung enjoyed a steady stream of hospitality projects and continued to grow in reputation as a firm that understood the function that underlies the “theatrics” of hospitality design. After nearly 18 years together the duo split and Mr. Munge rebranded the firm to Studio Munge in 2015. Not one to stand still, Mr. Munge has capitalized on the momentum of his earlier work, growing the Studio to around 60 employees, buying and renovating a factory to serve as its HQ and completing highly successful projects both in Canada and internationally. For those in the audience who’d never met Mr. Munge, his warm charismatic charm came through in his acceptance speech, making it easy to see why clients enjoy working with him and the presentation of his work made it easy to se why the jury picked him from among the many talented and capable nominees. Please see samples of the Studio’s portfolio for yourself. Since I mentioned the jury, this is a good time to acknowledge and thank them. 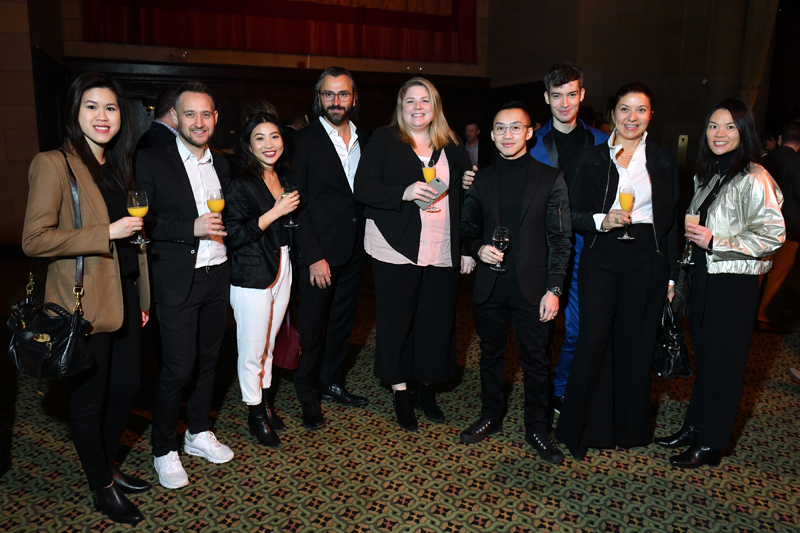 The 39th Annual Interiors Awards jury members were Mark Harbick, Studio Director at Gertler & Wente Architects; Betsy Vohs, CEO and Partner at Studio BV; Phil Weddle, Partner at Weddle Gilmore Black Rock Studio; and Kim Yao, Principal at Architecture Research Office. It is entirely fitting that Joan Blumenfeld was made the newest member of the Contract magazine Design Legend cohort. Those who know Joan have known she’s a design legend for a long time. But it’s great to have formal acknowledgement of that status by a jury of her peers. Design Legend, Joan Blumenfeld making her acceptance speech. In 1979 armed with a Masters degree in Architecture from the Harvard Graduate School of Design (with distinction), she ventured into the gender un-equal world of architecture. Needless to say she did not meet with a level playing field of opportunity and welcome. But she has managed to rise above colleagues who, in her early years in the profession, refused to take her to client meetings because she’s a woman. Eventually her talent and intelligence won her wide recognition as a leader. After working with Emilio Ambasz (where she met fellow architect and later her husband, Robert Krone), Kohn Pedersen Fox, and Swanke Hayden Connell in 2005 she landed at Perkins+Will where she found her home. Perhaps as a result of some less-than-equitable treatment as she was coming up, a hallmark of her career has been her passion for mentoring. 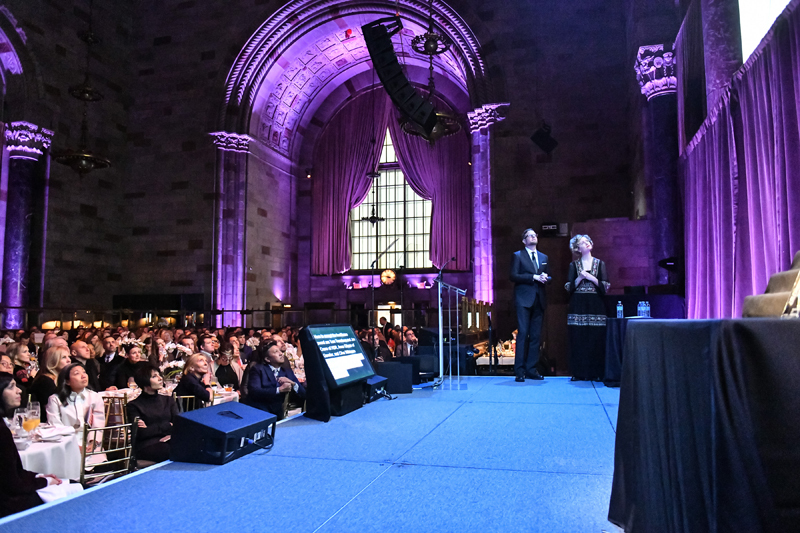 And mentoring is definitely a big part of her design legend legacy, as evidenced by the many teary eyes in the audience as she made her acceptance speech. Teary eyes are not common at this event. I won’t try to enumerate the many award winning designs of her career. Contract magazine has done a nice job of that in its most recent print issue and here. If you’d like to read in her own words, about the design with husband Robert Krone, of a highly energy efficient home for their family check it out here. After 9/11 Ms. Blumenfeld joined a group of 20 or so architecture, planning and design organization to form the urban design committee, New York New Visions, a pro bono volunteer group working to help the city develop guidelines for the rebuilding of Lower Manhattan. And more recently she has been very active in the Beverly Willis Architecture Foundation (BWAF) as its first Board Chair and as a passionate member of the group dedicated to changing the culture of discrimination against women in architecture, engineering and construction. In a quote given to Contract magazine, Perkins + Will CEO, Phil Harrison said, “Joan is tough in both standing up for design excellence and as an advocate for women, making the firm substantially more diverse.” That’s high praise and a succinct portrait of 2018’s Design Legend, Joan Blumenfeld. Our congratulations to Mr. Munge, Ms. Blumenfeld and all the winners of the category awards. 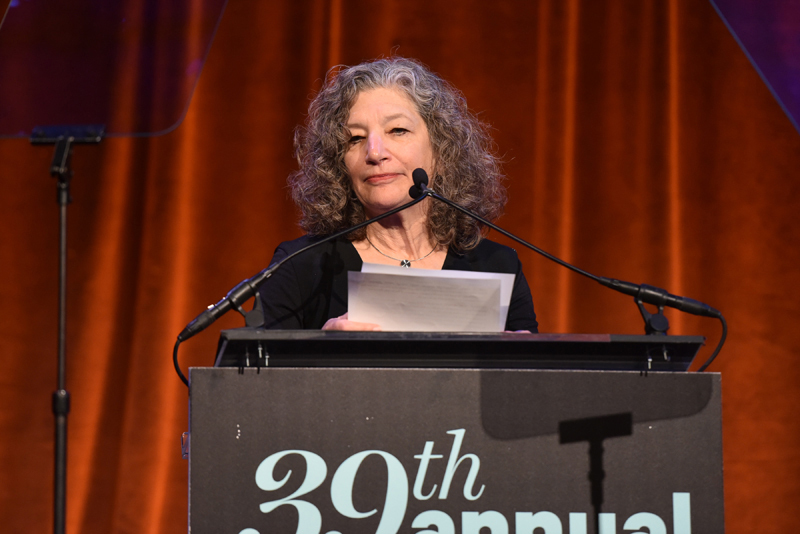 And our congratulations to Contract magazine for creating and sustaining for 39 years what we’ve come to regard as a particularly rewarding annual event. (Top L to R) Cynthia Kracauer, Robert Krone, John Czarnecki, Amy Tanenbaum, Karen Donaghy. (Seated L to R ) Joan Blumenfeld, James Kerrigan, Cheryl Durst, David Sprouls, Alessandro Munge, Grace Zeppilli. Adaptive Reuse: Amenta Emma Architects for Quinnipiac University Brand Strategy Group. Civic/Public: Freelon Adjaye Bond/SmithGroupJJR for the National Museum of African American History and Culture. Education: Mithun for the University of California, Irvine Mesa Court Towers Center. Entertainment: Gensler for the Hyundai Capital Convention Hall. Healthcare: HDR | Gensler in association with Clive Wilkinson Architects for the Shirley Ryan Ability Lab. Historic Restoration: ESG Architecture & Design fort the Hewing Hotel. 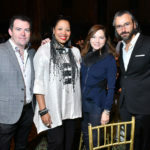 Hotel: Simeone Deary Design Group for the Detroit Foundation Hotel. 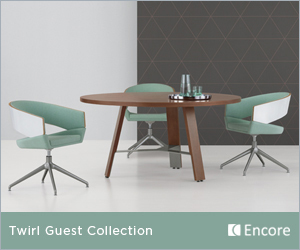 Lobby Repositioning: Gensler for Aventine. Office–Large: Clive Wilkinson Architects for Publicis’ North America Headquarters. Office–Small: Gensler for the IIDA Headquarters. Restaurant: Jessica Helgerson Interior Design for Tusk. Retail: MNA for Bergdorf Goodman. 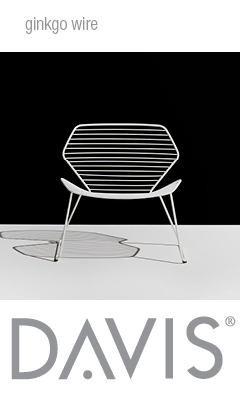 Showroom: Perkins+Will for the Häfele New York Showroom. Sustainable: WRNS Studio and Clive Wilkinson Architects for the Intuit Marine Way Building. Student: Yue DaisyWu for an Urban Farming Market. 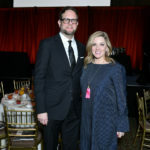 John Czarnecki, Editor in Chief and Beth Weaver, Art Director of Contract introducing the winners’ work.